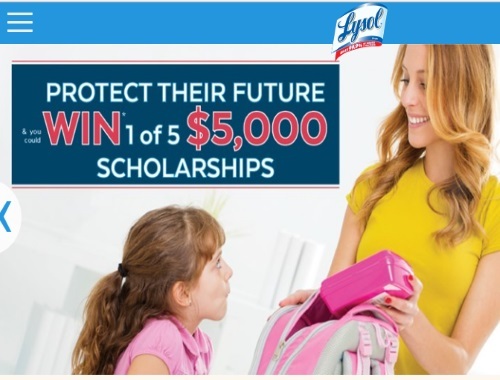 Lysol has a Back To School Contest! Enter to win 1 of 5 $5000 Scholarships! Limit of one mail-in contest entry per person and household per week during the Contest Period. Contest closes September 30, 2017.